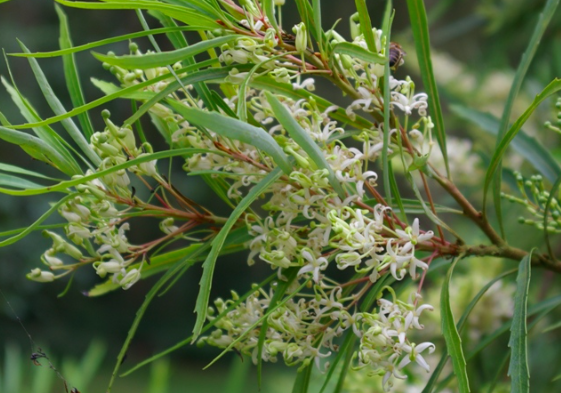 River Lomatia from the mountains of Australia is an elegant shrub in our gardens. 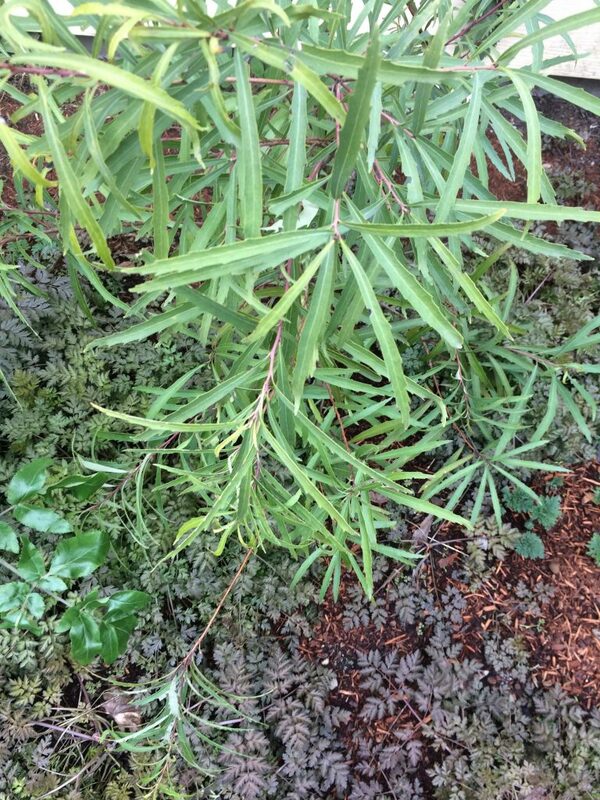 Long irregularly toothed blue green leaves give the whole evergreen shrub a soft mein. In late spring clouds of ivory white fragrant flowers foam between the leaves. To 11′ tall and forming an arching vase shape. Full sun and average soil. Avoid fertilizers and compost as it is a Protea. Light summer water. Very graceful. Avoid blasting subfreezing winds with some protection, trees, house walls. Long grown in the PNW but still rare.